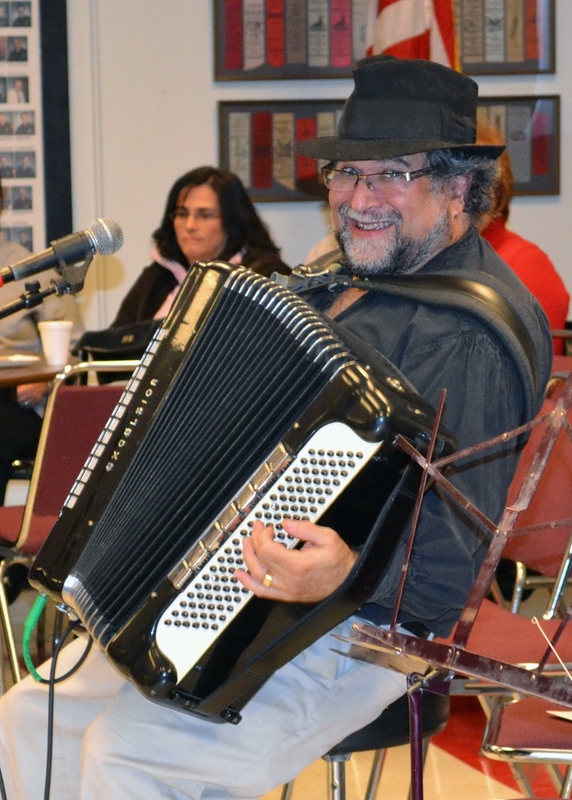 If you need a versatile performer for your upcoming event, consider hiring an accordionist. As a freelance musician, I perform either solo or with a band (using any combination of instruments or simply a singer). As a solo instrument, the accordion works well acoustically for strolling. By amplifying and incorporating midi electronics, my accordion can be made to sound like a one-man ensemble. Once a month, I play at the Honey Lounge, downstairs from Ginger Hop (www.gingerhop.com) at 201 East Hennepin Avenue (just across the Hennepin bridge from downtown Minneapolis). I perform regularly at the Gasthof Zur Gemütlichkeit, a fine German restaurant in Northeast Minneapolis. I hope to see you there! Performed at Orchestra Hall with Doc Severinsen for his holiday concert at Orchestra Hall in December 2016. Perform regularly at Minnesota Vikings football games. In 2013 and 2014, was entertainer at the Minnesota State Fair. In 2014, recorded soundtrack music for The Scarecrow and His Servant for the Minneapois Children’s Theater. In March 2015, played for the opening of Mary Poppins at the Chanhassen Dinner Theater. In December 2014, accompanied tenor Joe Wolverton at a Christmas concert at Orchestra Hall in Minneapolis, with Doc Severinsen and the Minnesota Orchestra. Performed with the group Klezmer and All That Jazz at David Brooks’ Town Hall Forum on March 31, 2011, and at Tom Brokaw’s Town Hall Forum on November 8, 2011, at Westminster Presbyterian Church in downtown Minneapolis. 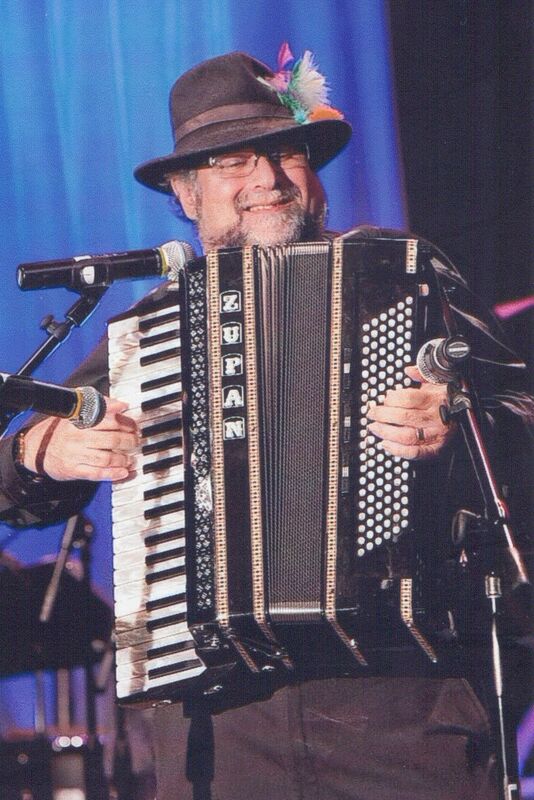 In autumn 2011, received the 2011 NE Accordion Festival (NEAF) Lifetime Achievement Award, presented by Castle Accordion and Mill City Accordion Association. 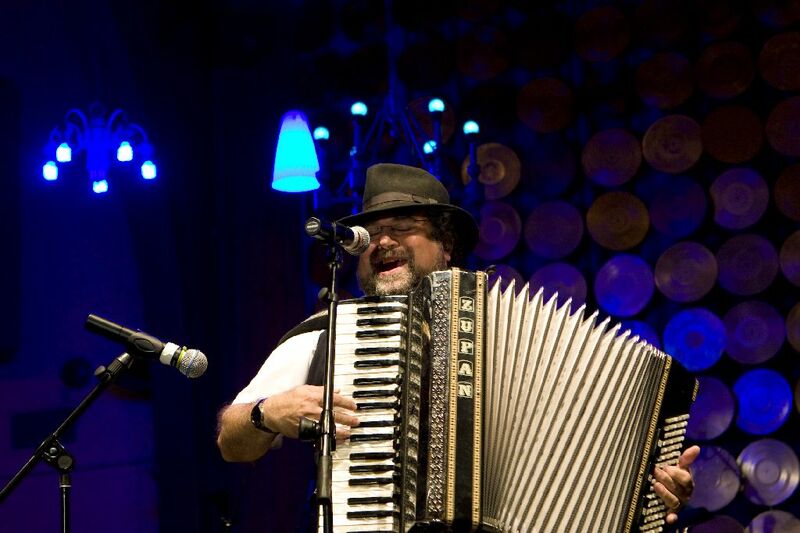 Was a featured performer at the national convention of the American Accordionists’ Association in July 2002, performing as a soloist with the Minneapolis Philharmonic. On July 11, 2002, played for a reception for former President Bush in Minneapolis. 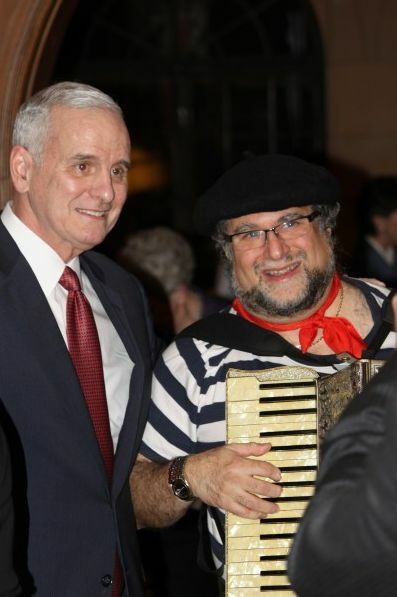 In summer 2000, on recommendation by the head cantor of Temple of Aaron in St. Paul, provided klezmer music for the reception of Israeli Prime Minister Benjamin Netanyahu. In August 2000, played for opening night party for Cirque du Soleil’s production of Dralion. As a member of Klezmer and All That Jazz, recorded the soundtrack to a new production of the classic Yiddish theater play, The Dybbuk, which aired on National Public Radio in September 1999. The show was produced by Yuri Rasovsky’s Theatre of the Ear. Steven Spielberg’s Righteous Persons Foundation fun ded the first American-language audio production of this Yiddish theater masterpiece, featuring Theodore Bikel, Carl Reiner, Ed Asner, and Barbara Rosenblat. One of the featured musicians at the Inaugural Ball for Minnesota Governor Jesse “The Body” Ventura. Selected to play for a recent Democratic Party fund raiser attended by First Lady Hillary Clinton. With the Minnesota Orchestra, under the baton of Doc Severinsen, featured as a guest soloist performing an accordion concerto entitled Accordances (a work commissioned for me by Shelley Hanson). Soloed with the Milwaukee Symphony, the Minnesota Orchestra, the Dallas Brass, the Rochester Symphony, the Ocean City Symphony, the Minneapolis Pops Orchestra, and Minnesota Sinfonia. Was featured in the 1999 performance of The Nutcracker with Minneapolis-based Ballet of the Dolls. Played at a reception for the President of Czechoslovakia, Alexander Dupcek; noted Russian poet, Yevgheny Yevteshinko; and Russian television celebrity, Boris Tonkin. Played for several openings at the Minneapolis Institute of Arts, including the Henri Matisse and the Monet exhibits. Played for the Fall 1999 opening of the Marc Chagall exhibit. Touring member with the group Klezmer and All That Jazz. Recorded and helped produce the music for a museum piece called Unpacking on the Prairie. This work premiered at the Minnesota Historical Society, and later traveled to the National Gallery of Art in Washington, D.C. It won first place in the 8th Annual Muse Award Competition (a museum award competition). Was featured in two Miller Lite beer commercials aired on Superbowl Sunday 1998. Recorded soundtrack music for the Hollywood film The Revenant, a horror film starring Rod Steiger. Recorded the soundtrack music for the 1997 production of Homo Heights, an independent film starring Quentin Crisp. Was featured on the following CD recordings: Lori Line – Heritage Collection II (this CD debuted as #7 on Billboard’s New Age charts). Have worked with several theaters in the Twin Cities, including the Guthrie, Jungle, Children’s, Frank, Southern, and Minnesota History theaters, and as music director of the Ethnic Dance Theater. Toured with the 1997 Dayton-Hudson production of Fash Bash, a fashion show with special guest RuPaul.